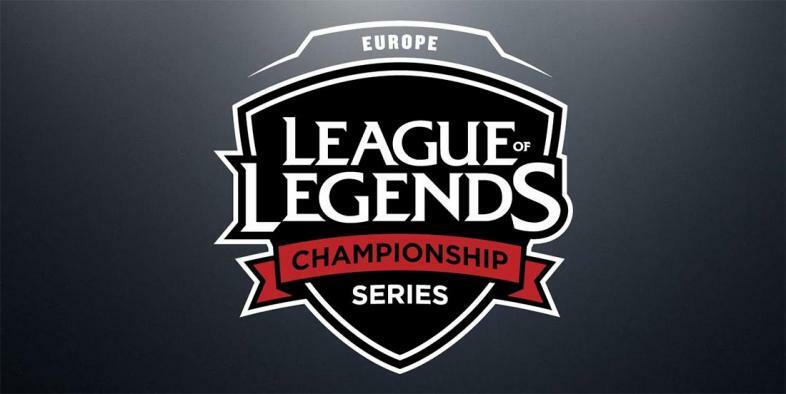 The Europe League of Legends Championship Series (EU LCS) Spring Split 2018 has come to a close and Fnatic is at the top of the food chain. It has been a long time coming for a team that has been trying to perfect their roster for the past couple of years. In 2017, Fnatic found themselves finishing 3rd in both the spring and summer splits. In the Summer Split Fnatic gained a great amount of momentum as their AD Carry, Rekkles, was crowned the MVP. Before we get into the Fnatic’s actual Spring Split Playoff Finals let’s turn the clock back to the beginning of the spring season. Fnatic started the spring season going 1:1, losing their first game to H2k Gaming. This was how Fnatic’s season would go for the next 2 weeks, winning one game and losing the other. This pace kept them in the middle of the pack, until week 4. During that week Fnatic would start a nice winning streak going 2:0 in their weekly matches for the next 3 weeks. This run propelled them into the number 1 spot in the weekly power rankings. Fnatic would stay atop the power rankings from week 5 through the playoffs. Fnatic would have the best record going 14 – 4 for the spring season and only going 0 - 2 to Misfit Gaming. Due to Fnatic’s great regular season play they received a “bye” in the quarterfinals propelling them straight into the semifinals where they would face off against Vitality. Vitality would be coming off of a tough Quarterfinals battle, earned a hard fought victory against H2k Gaming (Vitality took their Quarterfinal match 3:2). Game 1 was a very quick victory for Fnatic, the game would not even make it to the 30 minute mark. Although Vitality was able to stay somewhat close in terms of kills, Fnatic dominated in map control and turrets destroyed (9 for Fnatic and only 2 for Vitality). The most kills in this game came from Fnatic’s Caps putting up 5 in about 26 minutes. MVP Rekkles would only be able to snag 1 kill, though he really did not have time...no one was really even goes to full rank. Game 2 would start out a lot better for Vitality, taking an early lead in kills and turrets. However, these small victories would not last long. Later in the early game Fnatic would start to find their groove. Caps and Rekkles would both start collecting killing sprees picking apart the competition. In mid game Fnatic was starting to eat up the middle lane turret and Vitality’s Cabochard would try to teleport in front of Fnatics regroup. However, Fnatic would not be phased and made quick work of Cabochard and his reinforcing teammates, this would tip the scales towards a Fnatic land slide victory in game 2. Game 2 would barely go over 30 minutes. Fnatic, maybe with more arrogance than confidence, took a 180 in Game 3. Vitality maintained control and played smart, taking a mid game Barron steal, thanks to Gilius, giving them the confidence boost they needed to start working on the Nexus Inhibitors gaining a substantial foot hold in Fnatic’s base. Vitality’s Cabochard helped put the dagger in with a great recall bait getting the attention of an over extending Fnatic team, setting up a nasty ambush for his teammates and a final push to take Game 3 in just under 33 minutes. Fnatic would only get 3 towers in Game 3. Vitality’s celebration would be short lived though as in the Game 4 Fnatic decided enough was enough and went back to playing as a team. The game would again not make it to the 30 minute mark as Fnatic made quick work of a desperate Vitality team trying to make big plays, but as Fnatic found out in Game 3, you cannot make big plays without your team. Finally, Fnatic was going back to a playoff finals, where they would have to defeat G2 Gaming to bring home the gold. G2 must have taken some G Fuel before Game 1 because they came out and stomped Fnatic in the early game. G2 would jump up to 5 kills while Fnatic was struggling to find their first. G2 would even grab a few turrets in an attempt to sweep Fnatic in Game 1, however mid game Fnatic would win a team fight mid lane getting the momentum they needed to start controlling the map and pulling even with G2 in kills and turrets destroyed. Throughout mid game and into late game both teams were trading kills and turrets, as G2 was trying to get a kill streak going to swing the momentum back in their favor. They would be stopped by Fnatic though, even getting a negative gold Barron power play. Game 1 of the finals came back to a mid lane fight where Fnatic was dominant and Rekkles would clinch a Penta Kill setting up the destruction of G2’s Nexus and claiming Game 1 just shy of 42 minutes. Fnatic was in their groove by Game 2 and G2 could not rout them out. Fnatic dominated Game 2 as both teams battled in the mid lane with 5 man stacks exchanging a couple of kills and turrets. But, it would be another Penta Kill from Rekkles near the late game that pushed Fnatic into the offensive zone. It took just over 30 minutes for Fnatic to fully pick apart G2, but they did so with relative ease. Fnatic would be one win away from taking the finals. Game 3 was again dominated by Fnatic. G2 was trying to cling to any advantage they could even go for a Barron buff, they were then ambushed and pushed off by Fnatic. G2 would continue to try and bring Barron down committing all 5 champions while Fnatic had one chipping away at their Nexus turrets, but G2 was blinded by Barron and in the end Fnatic pushed them off again stealing the buffs and pushed G2 back. G2 would never recover and Fnatic would close Game 3 as the EU Spring Split 2018 Champions and win the 1st place trophy and 80,000 Euros. Fnatic will not have much time to rest and re-fit, since they took the Spring Split Playoffs they qualify for the Mid-Season Invitational (MSI), which is an international event. Fnatic member Caps was asked what they are looking forward to in the MSI. His response keys into how dedicated and focused Fnatic is, he just simply said that they are looking forward to playing the Chinese and Korean LoL teams. They have had some trouble with these teams in international tournaments in the past, but they are determined, with some new confidence, to not be bested the next time they meet. Tamer of great metallic beasts, Josh is no stranger to foreign lands traveling around the world and back again. He has a great ability to regenerate energy from any caffinated potion.